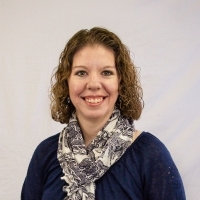 Hi, my name is Connie Keeney and I became the Office Manager at Osco Church in September of 2011. I live just a short drive down the road in the town of Cambridge, IL. I have been happily married for 24 years to my husband Robert, and we have two wonderful daughters, Katy and Alyssa. I graduated from Geneseo High School, formerly J. D. Darnall High School. I then graduated from Western Illinois University in Macomb, IL with a Bachelor of Art with emphasis in Graphic Design. In my spare time I can be found curling up with a good book, especially any from Karen Kingsbury. I also love to attend my daughters' many events and activities at Iowa State University in Ames, Iowa or just down the road in Des Moines. You can also find me playing with our 2 Pomeranian dogs, organizing and working on projects around my home, crafting and sewing by hand, or looking for new recipes for baking projects. Just a reminder that Torch information is due by noon on the 21st of the month and can be emailed to office@oscochurch.org or just drop a note off in the office.